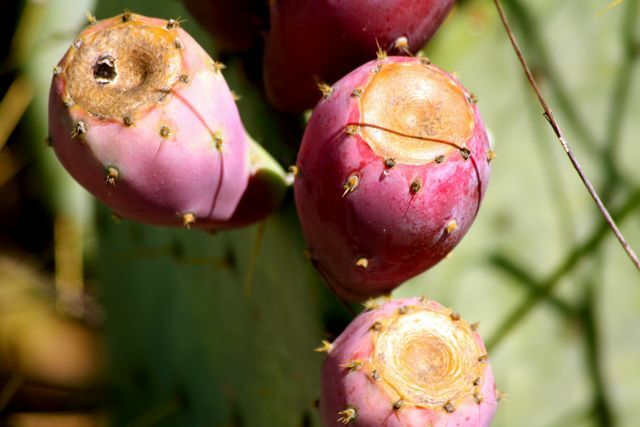 That is a very good shot of prickly pears. It is amazing how much detail you have with this pic. Ouch, I think I feel these thorns! Nice picture! I love the shadows and how part of the cactus is lit and part isn’t. I like it alot. Seriously, love the colors. And the form.